The Institute of ComputerGraphics und KnowledgeVisualization offers introductive lectures on computer science and advanced lectures on digital libraries andcomputer graphics.Furthermore, interesting research topics for student research projects are offered. The topics are taken out of current research activities of the institute. In general, all topics offer the option to deal with the subject within a seminar project, bachelor or master thesis. Teaching of techniques for content-based retrieval in 3D object databases. We will cover current methods for extraction of local and global 3D shape features, for coding of features and similarity computation, and for query processing including coverage of selected index structures. We will also cover approaches for visual search interfaces and for exploration of large 3D object repositories. We will also introduce applications of 3D object retrieval in fields like Computer Aided Design, 3D Cultural Heritage Data Management, and others. This course constitutes an attractive mixture of lecture, seminar and workshop. In this series of lectures each week state-of-the-art research is presented by experts in the field, giving the students a comprehensive overview of topics concerned with in the field of computer graphics. Metadaten - The use of complex, non-textual data and documents is becoming more and more important. Today's digital libraries, however, do not support these data optimally because they are based on the assumption that all documents can be described textually. The goal of the project PROBADO is to develop tools and systems as well as to create methods and workflows that allow academic libraries to treat different common documents in the same way as textual documents. Focused at the beginning are the domains music and 3D-graphic. Following the line in the lecture "Foundations of Computer Science", the application of methods and principles of computing including the field of software engineering are trained. This course covers basic mathematical foundations for studying 3D surfaces from a discrete differential geometric standpoint and present the full geometry processing pipeline: from 3D data capture, mesh smoothing, surface reconstruction, parameterization, registration, shape analysis (correspondence, symmetry, matching), data-driven synthesis, interactive manipulation, to 3D printing. The lecture covers the substantial techniques of modeling in computer graphics. 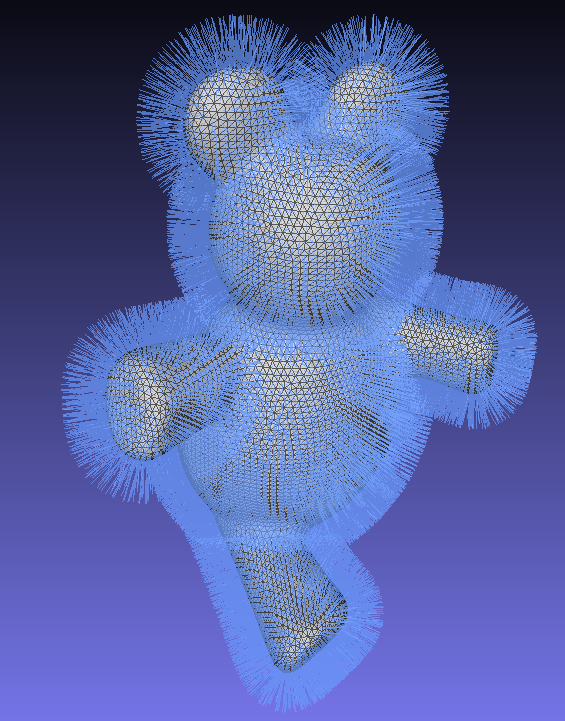 It is focused on mesh based techniques and free-form surfaces as well a generative an reconstructive modeling in theory and in practice. Overview and fundamentals about programming issues in distribute environments. The focus of this lecture is made on the development processes for distributed software. This will be done by addressing relevant low-level aspects (such as network protocols and specific functions of operating systems) as well as high-level aspects (liek for example distributed objects or distributed address spaces). Further, the presentation of practical examples will show which common problems may arise while implementing distributed applications and solutions will be given.